Sharing stories and messages of hope through the #ChosenandWorthy series has given me the opportunity to share the deeper meaning behind being a beloved child of God. Our identity effects every relationship we currently or will ever have. It effects our purpose and how we pursue each day. Without knowing beyond the shadow of a doubt who we are and how valuable we are, we cannot live in the wholeness of victory. 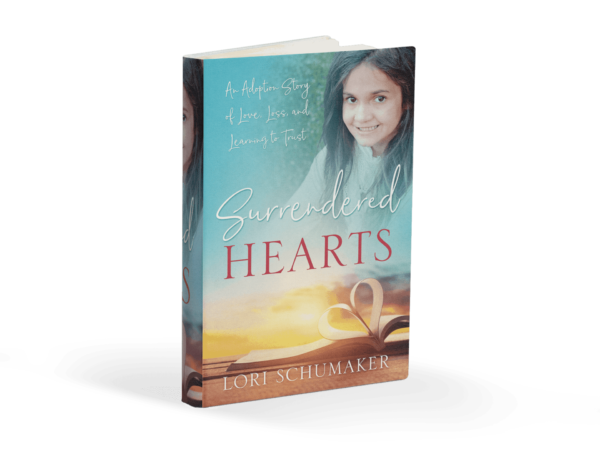 Through stories of parenthood, racial discrimination, achievement, marriage, divorce, miscarriage, singleness, past mistakes, and anxiety – we find over and over again that at the core of every chapter in our lives, we must know who we are. We must live in the reflection of Christ rather than in the reflection of an often angry and unpredictable world. 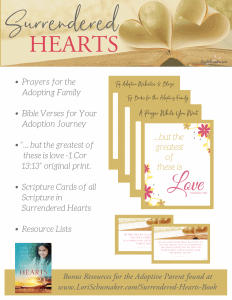 Today, Melissa Gendreau of Humble Faith Family Wellness shares a post that reflects the heart of identity and the adopted child. The effects of adoption are never simple. Because, as I often say, even though adoption is a beautiful and wonderful miracle, it is filled with layers of grief and often trauma. Our story affirms that truth. Melissa is a Christian Mental Health Therapist and works often with children who come from hard places. She sees first hand the effects of adoption on identity. And she sees the importance of an identity in Christ. That question never gets easy to hear and answers are even harder. As a Christian mental health therapist, I’ve worked with children, teens, and adults for eight years. Of all the clients, however, God has created a special place in my heart for children who have endured trauma. I often work with children who have been removed from their biological home due to abuse and/or neglect and now are navigating a new foster placement or have been adopted. My role for these children is to be a safe person and environment to ask these tough questions and to help them work on understanding who they are outside of the life they’ve known. As I write this, I can’t help but be bombarded with face after face of little ones who have cried in my office over the loss of their biological parent. The same parent who harmed them. When I first started as a therapist, this was the hardest part for me to understand. These children are often abandoned and rejected by their biological parents and yet remain loyal and protective of them. They may have been adopted into a home that is loving and safe but many would willingly leave to go back to what they know and love in their old life. So often, most traumatized children don’t believe a loving and safe home really exists. Or at the very least, they believe they don’t deserve one. The majority of my work with these children is helping them to replace the false truths they’ve been duped to believe. Their worth is not based upon their behaviors. They did not deserve the abuse they endured. I worked with a beautiful little girl who flashed the deepest dimple every time I got her to smile. But she didn’t even know she had it. She was nine years old and no one had ever complimented her on her dimple. I showed her a mirror and asked her to smile and then I told her how lovely it was. She told me to think anything good about herself was self-centered. We are slowly working to break that false truth. I’m not sure I can adequately describe the leap of joy that happens in my heart when I see the tiniest flicker of light come into these children’s eyes as they start to understand the lies they’ve been told. 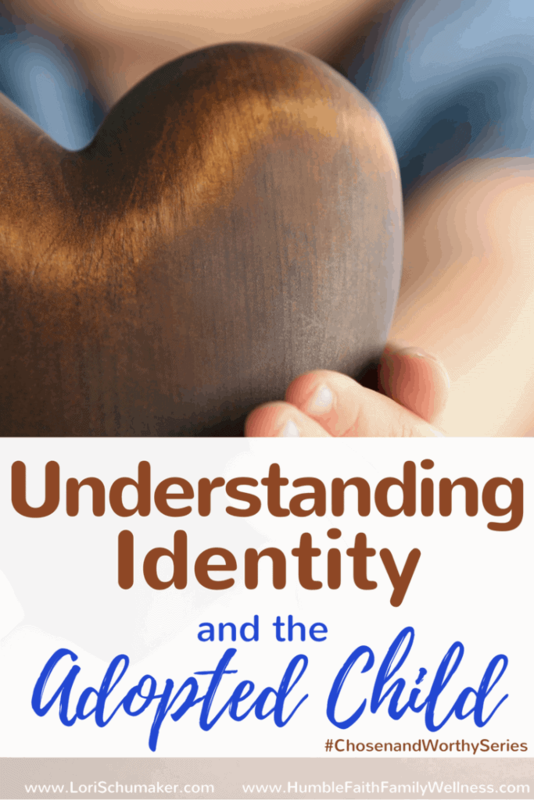 It is not until I see that little flicker I am able to start helping the child understand their identity and worth. We complete projects to explore their talents, interests, and strengths. In so many ways the child has to start over because the world they have best place buy nolvadex online known has twisted and distorted truth. We discuss basic emotions and when a person would appropriately experience each one. We focus on behaviors and how a bad choice doesn’t make him/her a bad person. I work with both believers and nonbelievers so sometimes I’m not able to bring God into my sessions. However, I’ve often found that children who have endured trauma, but also believe in God, have an inaccurate view of our Lord as well. The focus of their understanding has been about our wickedness and our potential for damnation if we don’t repent. Rarely is their understanding of God about His unconditional love for us. Even if my father and Mother reject me, the Lord will hold me close. He had believed God had turned his back on him because his biological parents told him he was a mistake. This was the first time that this boy was given the truth that God created him! He was purposefully planned by our Creator! I would love to say all of his doubts melted away in that instant but we know that’s not true. It takes time to reverse the pain others have inflicted. In working with adoptive parents, I remind them of that every time we meet. It’s going to take time. The best advice I can give them is to provide consistency and love for these wounded children. And to seek their own support as this is a continuous process. Now, let me take the time to broaden this to all of us. You see, we are all adopted. Are there things in your past life that you are loyal to even if they are harmful or speaking false truths to you? Do you still believe your worth is based upon your behaviors? 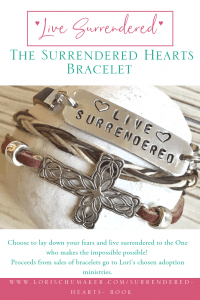 Are there times you believe you are unworthy and unlovable? Dear friends, you are loved without measure! Finally, I pray that you immerse yourselves in these truths today. We all have past pain and wounds but we are adopted by a Heavenly Father who wants us to know our worth because He created us and loves us. Melissa is a Christian mental health therapist, a wife of ten years, and a mommy of two pretty neat kids. She enjoys the privilege of working with others to grow in their relationship with God and find healing from their past wounds. When Melissa is not working or writing, she enjoys movie nights with her family and homemade popcorn. 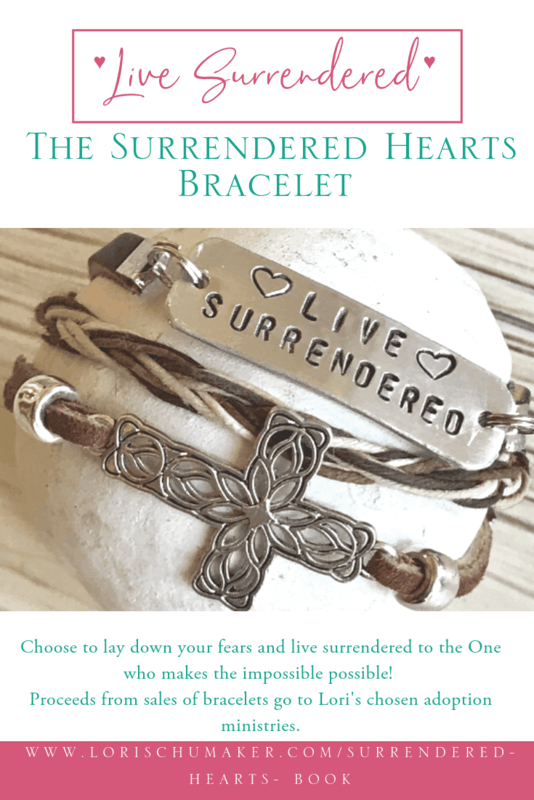 You can connect with Melissa on her blog, Humble Faith Family Wellness HERE or on Facebook, Twitter, and Pinterest. If you haven’t signed up yet to receive updates, you can do so right HERE (or fill out the form below). Over the next month I will be sharing pieces of our family’s story – the before, during, and after of international adoption. I’ll also be sharing resources and guest posts. Subscribing will get you my occasional updates. It also gets you full access to my resource-filled Library of Hope! It has a ton of stuff in it to help you meet life’s challenges head on with the best tool we have – the hope of Christ! Thank you, Lori, for the opportunity to share this message! Truly, what a gift these words have been! For all, whether adoptive or not, this wisdom is priceless. So many times in our years and in our struggles as an adoptive family, I longed for someone who understood. Even those who loved us deeply, couldn’t wrap their minds around what we were experiencing. They didn’t know how to be there for us or how to help. So, thank you for educating others! Great and helpful post! I’ve often wondered how my hubby and I could meet the needs of a child who has been traumatized. It’s long, hard work and requires lots of patience! 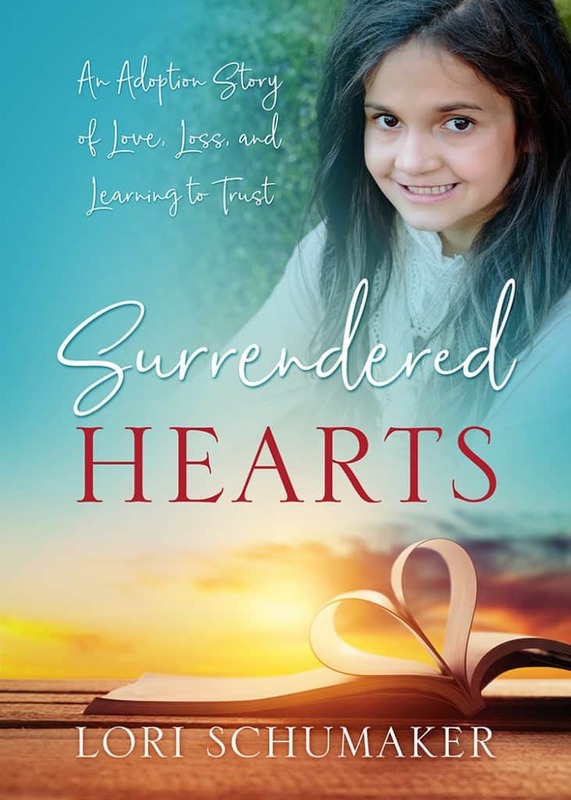 Julie, the most important steps in entering the adoption world is a solid faith and relationship with God and then immersing yourself in education about trauma so that odd and/or difficult behaviors from the child isn’t confusing for you. From experiencing your heart through your posts, I think you would be a great adoptive mom for a wounded child! My husband and I have an adopted daughter and are struggling to help her through the crazy teenage years. She is 14, adopted at 9 months. Do you have any books you might recommend or resources to help. We just want her to see her identity in Christ and be able to accept that she is fully loved by him. 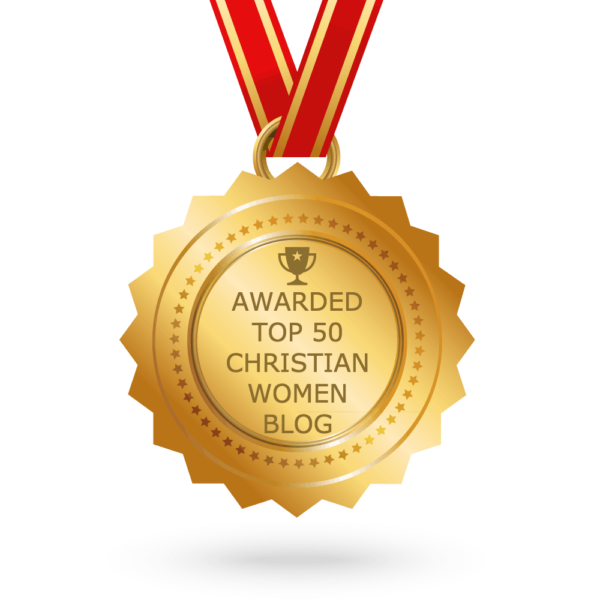 It has been such a blessing to read your blogs over the last couple of months. Melissa, this has been one of the most heart-touching blog posts I’ve read from you. It’s so vital that children get a good start in life; the work you do is deeply needed. Lori, thank you for including this blog post on your site! I look forward to reading more from both of you. Just shared on Social Media. Thank you for your kind words, Edna. This post was definitely near and dear to my heart. I appreciate your support. Beautiful post that moved me to tears. We’re in the process of foster care licensing and stories like this really touch me lately. I loved that you immersed us in an adoptive child’s struggle and then helped us understand that we are all adopted children. Thank you for sharing truth with us and equipping is with verses that share the Father’s love. I’m so glad you are getting your foster care license. The foster care system is in desperate need of families who understand God’s unconditional love and can model that for all of these hurt children. The more I work with this population the more parallels I see in all of us. We remain loyal to our past even though it hurt us, even though we have a Heavenly Father who will love, guide, and nurture us in all the ways that are best. What wonderful news, Beka! Many prayers to you and your family! May God meet each of you in the middle of your stories and create a beautiful story of joy, love, and hope! Thank you! this is so hard! Even in ‘healthy, normal families” warped self image and beliefs about God are too common! But magnify that 100x or more when the situation is so far from normal or healthy, and the recovery from that is incredibly challenging! It is incredibly challenging and takes a long time to see growth. I think the hardest part of my job is when I work with an adoptive parent that doesn’t understand why the behaviors and issues are taking place. Education is so important. Oh my goodness, these stories break my heart! Thank you so much for sharing this side of adoption because in my experience, a lot of adoptive parents are rightfully protective over their children’s stories and don’t typically share this type of inside look at the struggles of their children. It is such a complicated balance of what to share and what not to. And each family will have their own level of comfort in that sharing. Sometimes there are legalities – especially in foster care. 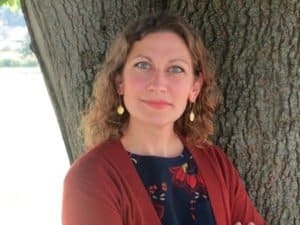 I am so thankful for what Melissa is able to share from her perspective as a therapist because I believe the more others understand the foster/adopt journey, the more they are able to support families and at the least, not make it more difficult with false assumptions or inappropriate comments. Thank you so much for joining us here! This is a beautiful read. People sometimes take adoption lightly but we don’t know the stories behind each child…or adoptive parent involved. Hope kids find a loving home, and know kindness and acceptance. Thanks for sharing this. You are right, Lux. It is a beautiful and wonderful thing, but behind the beauty is a story. That story involves loss and usually many trials. I believe the more people on the outside understand this, the better support they can be to adoptive families! I am so thankful to Melissa for sharing this wisdom! Blessings and hugs to you!!! !